Saint Joseph-area families looking for a spacious sedan that comfortably seats up to five adult passengers should see the new Chevrolet Malibu at Dominion Chevrolet. While the Chevrolet Malibu price and features will vary, the Malibu LT comes equipped with a 160-hp turbocharged 1.5L ECOTEC® engine that’s paired with a continuously variable transmission (CVT). 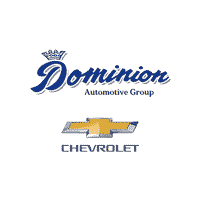 Check out the Malibu inventory below, then visit Dominion Chevrolet to test drive your favorite model. The Malibu is available in six configurations: L, LS, RS, LT, Hybrid and Premier. The base trim starts at $22,965 MSRP and gets an EPA-estimated 29 mpg/city and 32 mpg/highway fuel economy, so you can spend more time on the scenic route and less time stopping for gas. Move up in trim levels and enjoy a powerful performance with the 250-hp 2.0L turbocharged engine paired with a nine-speed automatic transmission. The Chevrolet Malibu interior provides lots of cargo space for sporting equipment, shopping bags, or luggage for family vacations. The new Malibu also has comfort-focused features like a heated steering wheel, heated and ventilated driver and front passenger seats, and heated outboard rear seats that keep you warm during the colder months. If you’re ready to take your Michigan City commutes to new levels, then test drive the 2019 Chevrolet Malibu at Dominion Chevrolet. We’ll go over the car-buying process, compare the Malibu against competitive models like the Chevy Cruze, and help create a financial plan that fits within your budget. Be sure to browse our rotating selection of vehicle specials so you can drive home in a new Malibu for less. Contact us today with any questions, or to make an appointment.